I can tell you this one thing for sure, I won't do insulation in an attic again without being well hydrated. 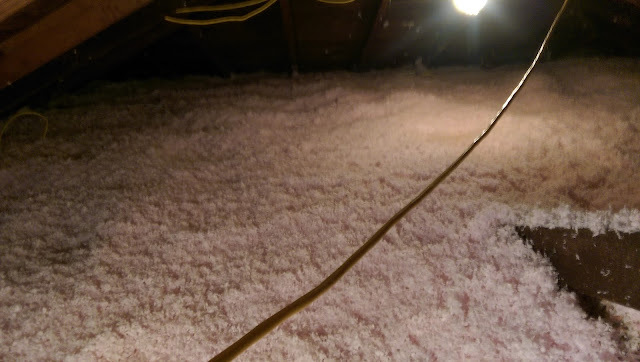 My wife and I were working on the '35 house this weekend getting insulation in the attic. Some places had some while other places did not. We went to Home Depot and rented the insulation machine and 10 bags of insulation for the project. We were able to cover the whole attic. I'm not sure of the last time I was that hot. It's been a long time I'm sure, but I wasn't feeling well for the rest of the day. Probably needed more water in me.